On Saturday 16th June, four children from Years 5 and 6 represented our school at the English Primary School's final at Ponds Forge International Sports Centre, Sheffield. The competition took place over the duration of the day and consisted of teams from right across the country. The boys represented our school in the Open Boys Freestyle relay. They did not let the scale of the event affect their performance; they achieved an impressive personal best of just under six seconds. Their hard work in practice proving worthwhile! 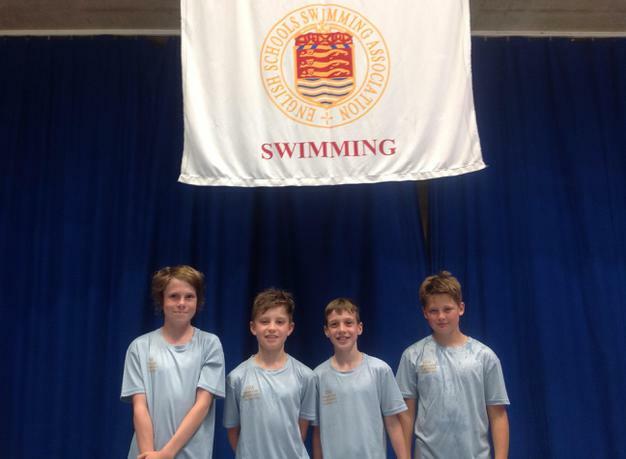 The four boys are not members of a local swimming club, which makes their achievement even more impressive. Well done boys - you are an asset to our school!